8 of the most beautiful pools of the world! It’s summertime! How do you feel about diving into some of the most amazing pools of the world? The Jade Mountain Resort Hotel pool located on Saint Lucia island. The pool is unique both in color and shape. The pool has been surfaced entirely in one-of-a-kind glass tiles. It is also equipped with fiber optics to illuminate it at night. The Chongwe River House pool located in Zambia. The pool is overlooking the Chongwe River and the mountains of the Lower Zambezi. It is the perfect combination of a fantastic safari experience while soaking in cool water! The Cambrian Hotel and its Infinity pool in Adelboden looking over the Alps where the air quality is so good that you can see and swim for miles! 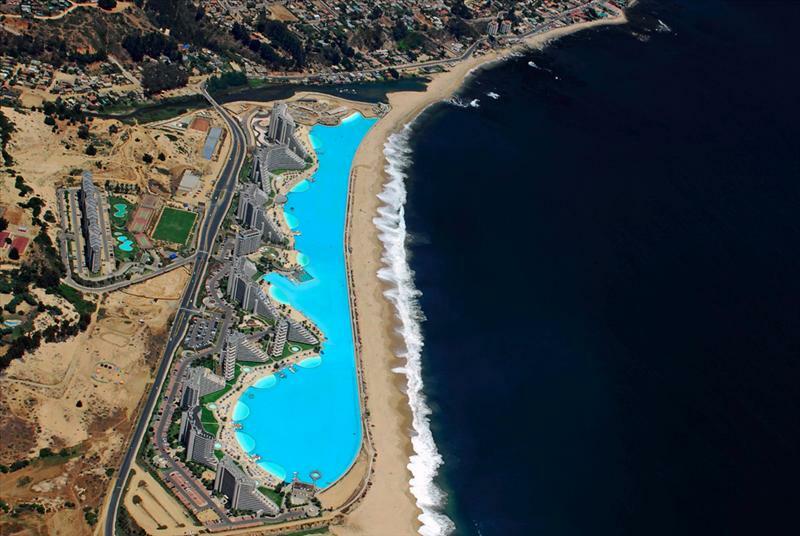 The largest and deepest pool of the world in San Alfonso del Mar, Algarrobo, Chile. One kilometer of pure seawater stretched along with a private white-sand beach. You can not only swim in the pool but also go kayaking and sailing. 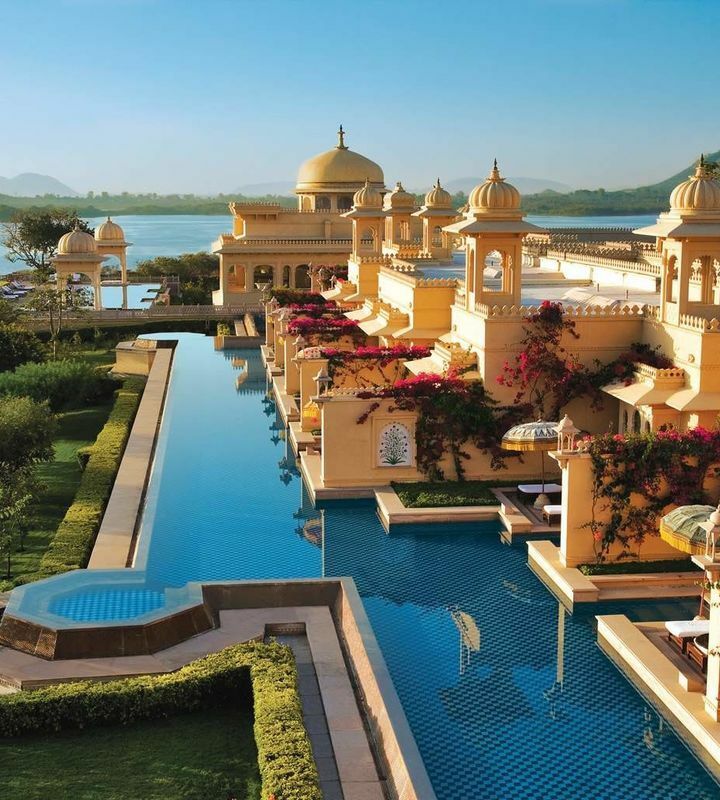 The Oberoi Udaivilas Hotel pool in India. From the pool you can admire the amazing sites of Udaipur such as the lake Pichola. 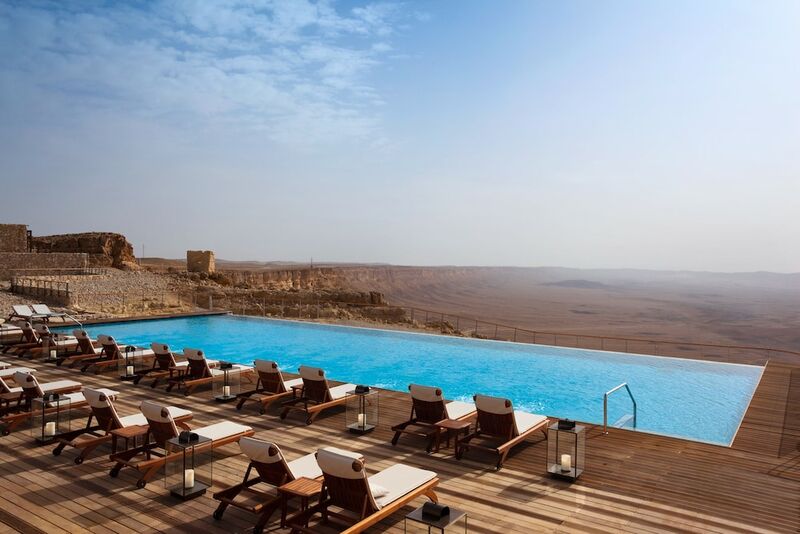 The Beresheet Hotel pool in Israel situated high atop the cliffs overlooks the Negev Desert and the Ramon Crater. It was recently names the “Coolest Hotel Pool in the World” by the travel site Travel Agent Central. The Marina Bay Sands pool, the world’s largest rooftop infinity pool, situated 57 levels above the ground and 150 m long. Also one of the most spectacular places in the world. The Banyan Tree Hotel pool in Seychelles, built into the mountainside and overlooking the Indian Ocean. Copyright © 2019 swimmingpool.euAll Rights Reserved.